Happy 20th, iMac! – Bright, shiny objects! No one should crash a computer party! 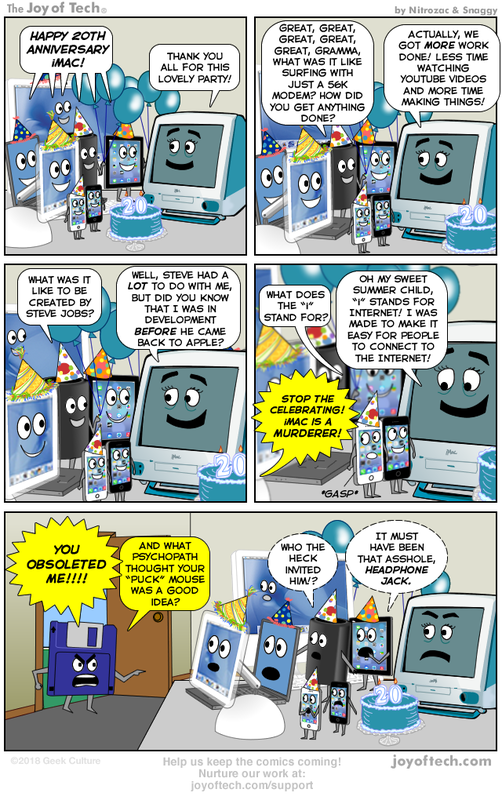 Source: Happy 20th, iMac!